These tales take you on a weird voyage from the bottom of the ocean to the moon and beyond! Experience bizarre visions that include surreal ghost trees taking over Toronto, Chinese demons haunting the Yukon gold rush, silent film stars battling aliens in outer space, and a futuristic floating girl breaking free with her Ziggy Stardust cyber-rabbit! Written by Yi-Sung Oliver Ho, these magical stories feature the work of five exceptionally talented and unique artists. Limited quantities: Get yours now! $18 with free shipping in Canada. It’s an extra $5 for delivery to the USA, and $10 to ship anywhere else. Winter 2016: After Seven Strange Stories, the next personal project is a graphic novel I wrote with Daniel Reynolds, called Genghis Con. We’re working with the artist Christopher Peterson. It’s about a guilt-ridden grifter who seeks redemption for herself and justice for her sister by taking part in a win-or-die rally race. As a freelance writer, I’m also working on several comic book projects with Joe Books, including a comic book series that’s tied into an upcoming TV show, two cinestory books for animated films, and a collection of comic strips. I’ll post more about these projects as they progress. I worked with Brice Hall on a story called, “The Tale of the Eyeball Tree.” It was published in the Toronto Comics Anthology Vol. 1, which is available here. 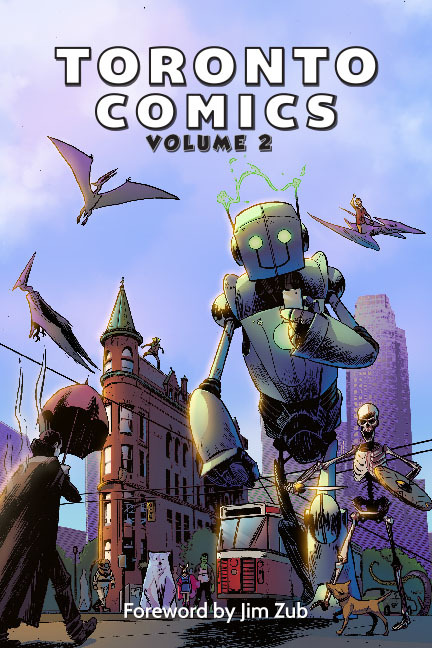 For Volume 2 of the Toronto Comics Anthology, I worked with Rina Rozsas on a story called, “The Monster Artist.” The book is available here. I wrote stories that appeared in Holmes Incorporated #3 and #4. Issue #3 is available for free here. For issue #4, I was thrilled and honoured to have my story drawn by the great Ty Templeton. The full story is on his website. 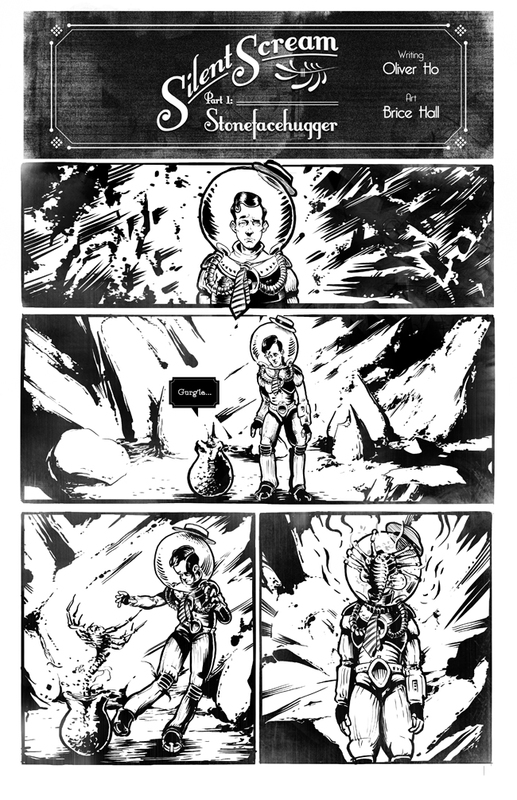 Before we worked on “The Tale of the Eyeball Tree,” Brice Hall and I created a “Buster Keaton meets Alien” story for Sam Noir‘s magazine, Heady Mental. 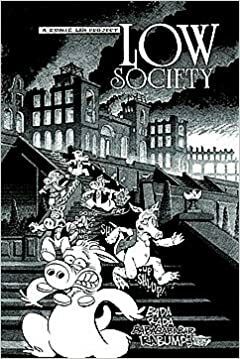 I wrote a story that appeared in Cerebus: Low Society, with artwork by Dyl Klöepfer. Here’s a description of the project on A Moment of Cerebus. The book is available on Amazon.com.